6000 mi routine maintenance, but only problem with vehicle has been the navigation system, which does not understand voice addresses. 1860 mi a portion of the seal between the dash and front window became loose. See our lemon odds and nada odds page to see vehicles with no repairs or vehicles with more than three repairs. 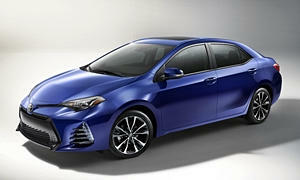 To see how frequently 2017 Toyota Corolla problems occur, check out our car reliability stats.